If you choose to link your Blu-ray player/Set-Top Box to your Home Theater this means that whenever the you select the Blu-ray player/Set-Top Box source the media controls will be sent to the device and the volume commands will be sent to the Home Theater instead of the TV media controls and speakers. 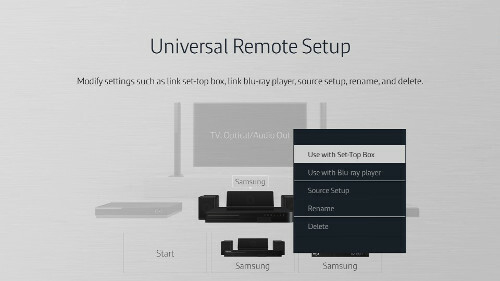 Important: If you have not done the universal remote setup for the Blu-Ray Player / Set-Top Box, you will need to see the related content to set them up before following these steps. 1. Press SOURCE on the Smart Control remote. 2. Using the navigation pad select Universal Remote Setup. 3. Select the Home Theater System. 4. 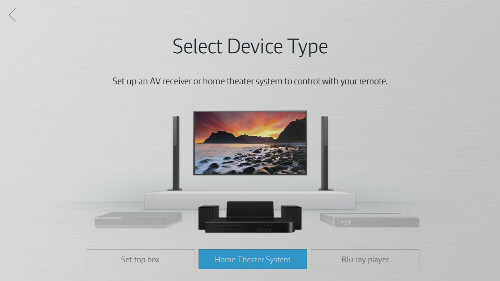 Select the device you would like to link to the Home Theater. 5. The device and Home Theater are now linked.